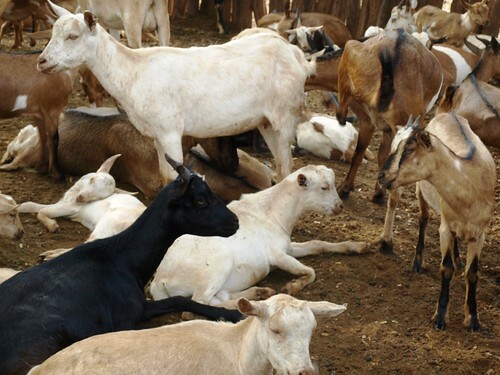 On 2 August 2011, the imGoats Jhadol-Kanthariya Innovation Platform in Udaipur, India held its first meeting that brought together 27 participants representing goat producers, traders and input service providers. 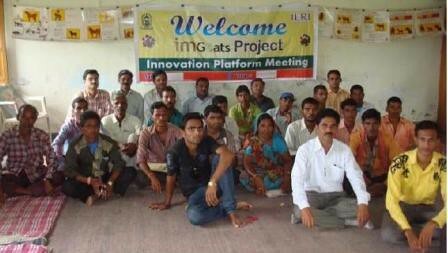 The meeting was facilitated by BAIF, the imGoats implementing partner in India. The innovation platform meeting offered the opportunity for the different actors in the goat value chain to interact, communicate and exchange knowledge towards facilitating better planning of goat production and marketing for the benefit of all actors. During the meeting, the groups of actors shared the value chain constraints they face in goat production and marketing, and discussed possible solutions and priority action areas. Tags: innovation platforms, Udaipur. Bookmark the permalink.